One of the Sustainable Development Goals proposed in September 2015 was to build effective, accountable and transparent institutions over the next 15 years. The sustainable development goals that was build upon the United Nation’s Millennium Development Goals has underlined the importance of effectiveness of public financial management, particularly in the light of major recent events such as the global financial crisis which commenced in 2008, the continuing revolution of information technology, and increased fiscal pressure in many Asian countries. The Financial Reform for Economic Development (FRED) Forum is a joint initiative of The Confederation of Asian and Pacific Accountants (CAPA) and the World Bank that focuses on a wide range of issues related to accounting, reporting, and auditing affecting the private, public, and not‐for‐profit sectors that have a significant impact on economic development. It is a flagship event for the accountancy profession in the region that has a key role to play in encouraging, designing, or in the execution of many reform agendas (World Bank, 2016). 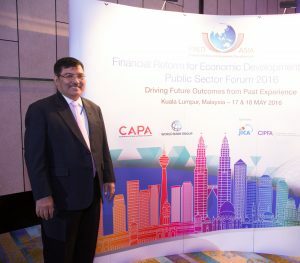 The 2nd Financial Reform for Economic Development Forum in Asia (FRED II) held in Kuala Lumpur on 17th and 18th of May 2016 adopts the theme ‘Driving Future Outcomes from Past Experience’. The 2016 Forum explores how improved public financial management contributes to strengthening the public sector, improving government accountability and transparency, and thereby supporting poverty reduction and economic growth. The Forum probes the role that the accountancy profession can potentially play in improving public financial management, build on identified good practices in public sector accounting and auditing, and explore how these can be mainstreamed across countries for effective resource mobilisation and management (FRED, 2016). Together with experts from government, NGOs and the private sector, Indonesian Government Accounting Standards Committee is invited to share experiences in dealing with challenges as they relate to public sector accounting reforms, and identify key sucess factors in developing practical strategies and programs to enhance implementation of effective public sector accounting reform across the country. The fast pace of globalization has stimulated the need for a common financial language in form of international accounting standards for stakeholder’s decision making and country comparison. Designed for use in preparing general-purpose financial statements, International Public Sector Accounting Standards (IPSAS) set uniform guidelines for accounting at public sector entities. The standards enable comparison of data across countries, jurisdictions, or organizations and improve financial accounting transparency. Many countries have already introduced IPSAS or similar standards, and more have plans to adopt or converge with IPSAS in the future. As the move to international standards continues, countries, jurisdictions, or organizations are starting to come to terms with the challenges involved. 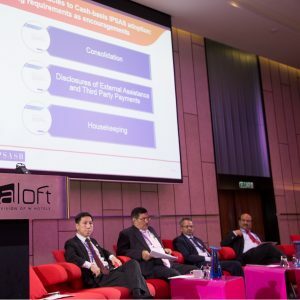 The Confederation of Asian and Pacific Accountants (CAPA) is a regional organization representing 31 national professional accountancy organizations operating in Asia Pacific to develop, coordinate, and advance the accountancy profession in the region.